I know that's a huge claim but I've been in business 15 years, sold more than 275 homes and have worked with hundreds of agents. And while there are many excellent agents in the area, I do a few key things very differently that will net you more money from the sale of your property! When I first started in real estate I focused on two neighborhoods to become "the area expert." I walked door to door almost every day introducing myself and I got quite a few listings this way. In my first year in real estate I was the top sales person in the office. But I quickly learned that buyers for those listings come from many other areas and the more I knew about those areas, the better I could market my listings. 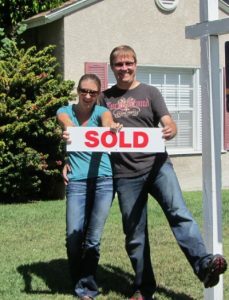 Also, often my sellers needed to buy a new home, and after the sale they referred me to friends and family. I discovered it was more beneficial for all my clients that I have a broad area of expertise rather than just selling in a couple of neighborhoods. I learned that my value to my clients is not by having my sign in your yard advertising myself for future business in your neighborhood. My focus is on my clients, not myself. My job is to get you the most money possible. How I do this is by focusing on your house and doing things that hardly any agents do. Marketing your home is very important but very few agents will really do the extra work and negotiating to get you thousands of dollars more. Call me and I will give you references who will be candid about my services.